Zinnias in the middle tier. While I absolutely adore the way a cosmos looks, I think I may have to lean more on zinnias here in Texas. 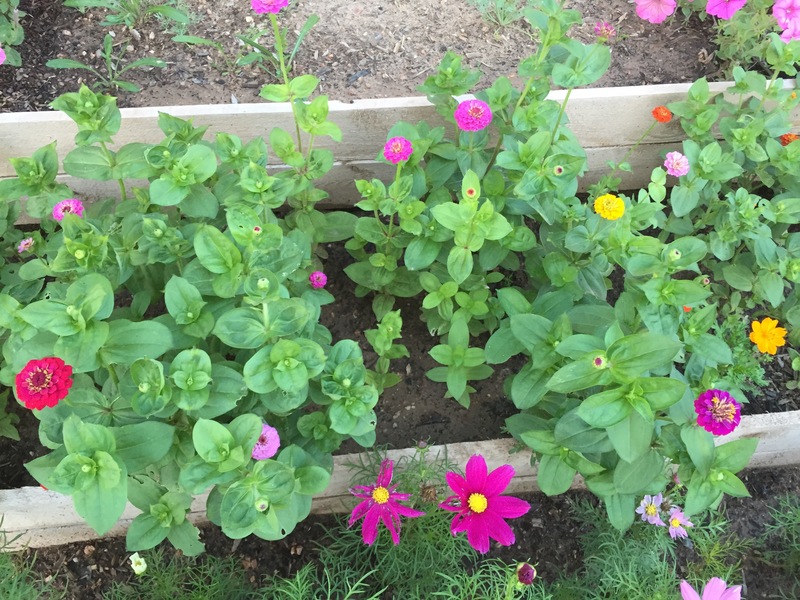 If the first batch of seeds I tried to grow are any indication, zinnias — specifically the flowers — hold up better. The mini-zinis in the middle tier of my flower bed are just glorious and the actual flowers seem to be less of a treat to the bugs than the cosmos. Yes, the cosmos are pretty for a few days, but some type of bug or bugs seem to think they’re a delicious feast. Can’t say that I blame them, I suppose, especially if their beauty is any indication of how tasty they are! Fortunately the zinnias are really growing on me! 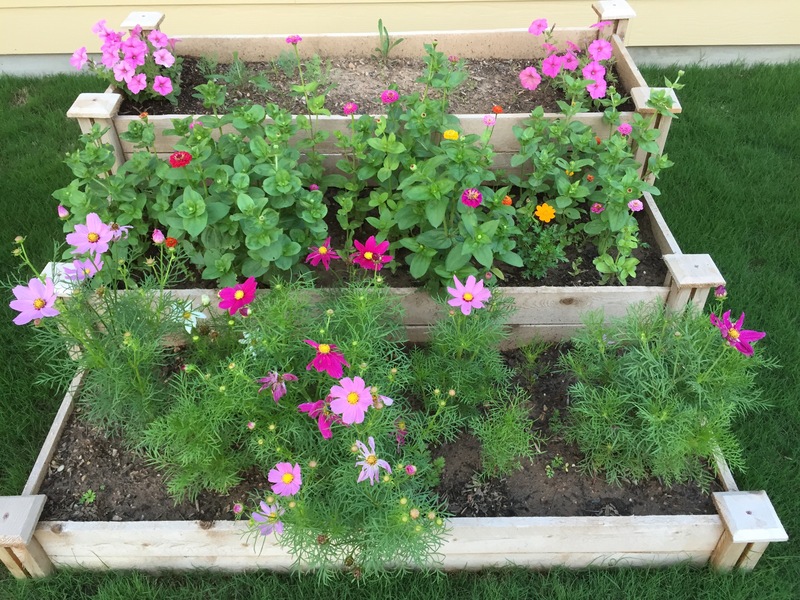 This entry was posted in Gardening and tagged cosmos, zinnias on May 17, 2015 by Julie Riebe. Aw lovely! Such happy little garden beds!